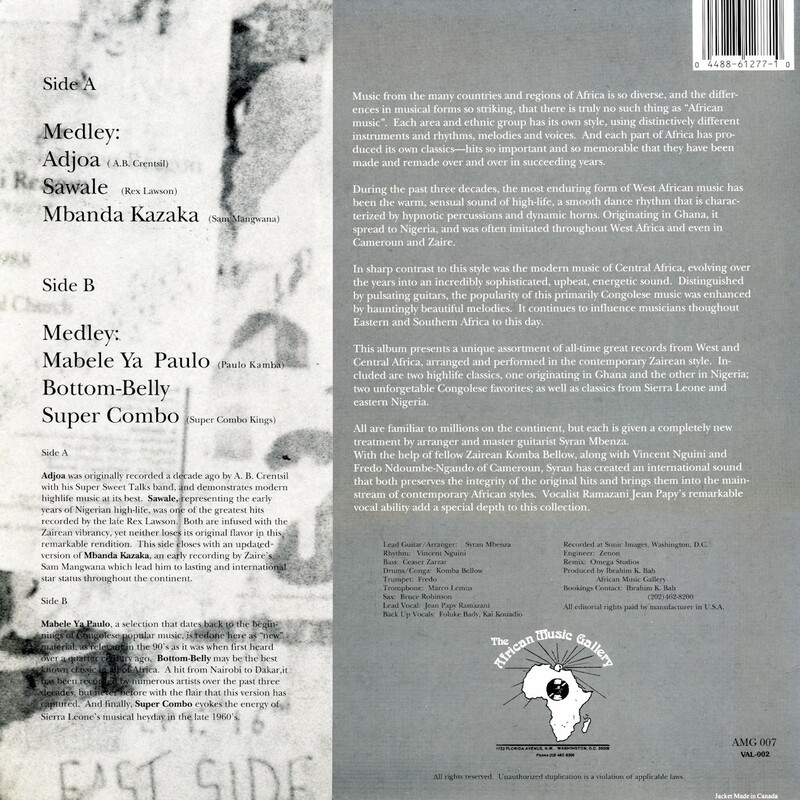 In the last twenty years or so there has emerged a trend in the African music scene toward "Greatest Hits" compilations rerecorded "Megamix" style in 15-20 minute continuous medleys. This tendency was kick-started around 1990 with the release of the Soukous Stars' smash CD, entitled, appropriately enough, Megamix Vol. 1 (Syllart 38779-2, below left). 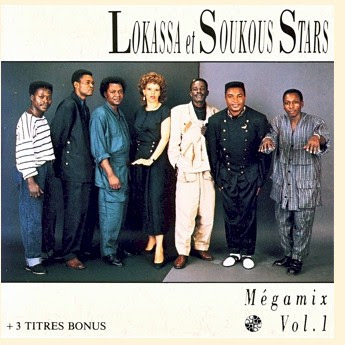 Not only is the Soukous Stars' success pegged on mixes like this, another group, Soukous Vibration, has arisen that specializes exclusively in this sort of thing, and there have been mix albums released from all over Africa: Madagascar, Mali, Nigeria, even Chad. I'm a bit distressed at this fad (which, truth be told, has already faded considerably). One would like to see African musicians stretching themselves and developing new syntheses, not just rehashing the old glories. Still, in a way it's a good thing, because it brings the classic sounds to new generations. 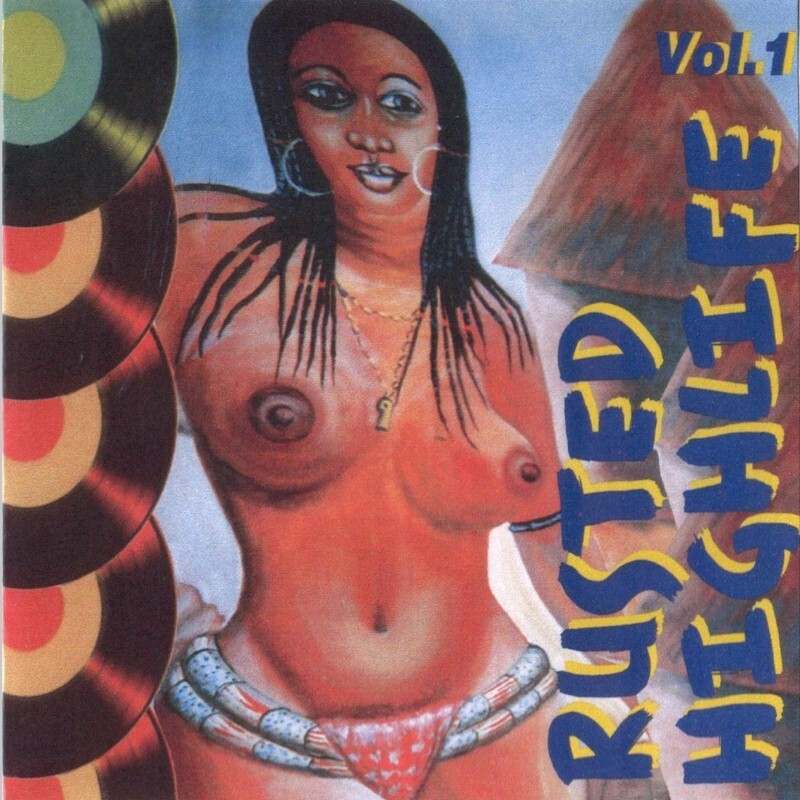 Before Megamix Vol. 1, there was another great megamix-style album, probably the first of the genre. 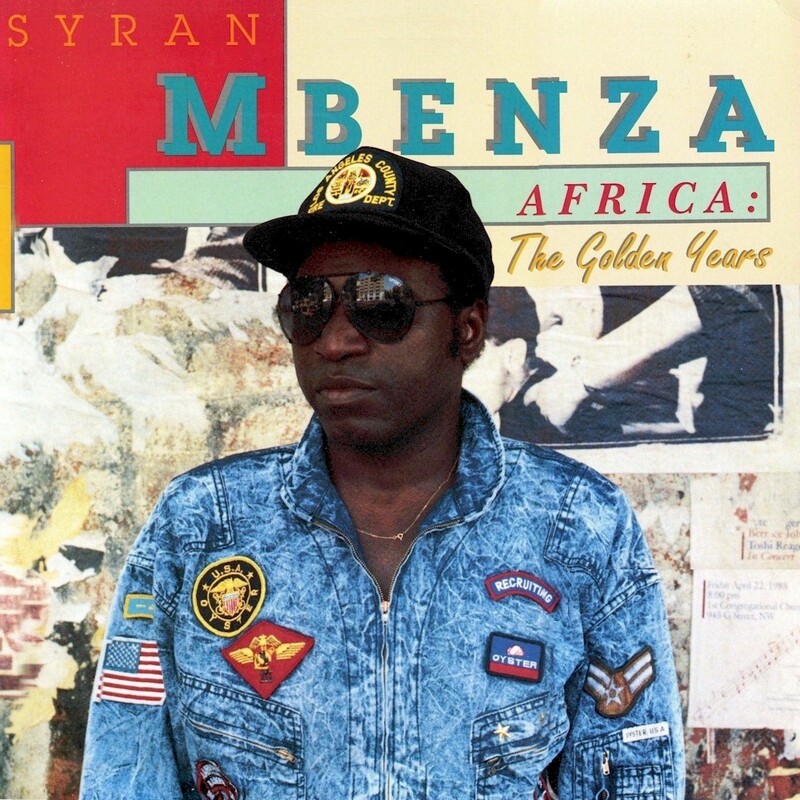 I'm talking about Syran Mbenza's Africa: The Golden Years (AMG 007), released sometime in the late '80s by the DC-based label African Music Gallery. Although it's arguably the best of all of the megamixes and probably directly inspired the trend, it's faded completely from sight. Mbenza, a native of the Congo, is well-known to African music fans, having been a stalwart of the Kinshasa-, West African- and Paris-based African music scenes since 1968. He's been involved with numerous groups including Sam Mangwana's African All-Stars, Le Quatre Etoiles and the supergroup Kekele. 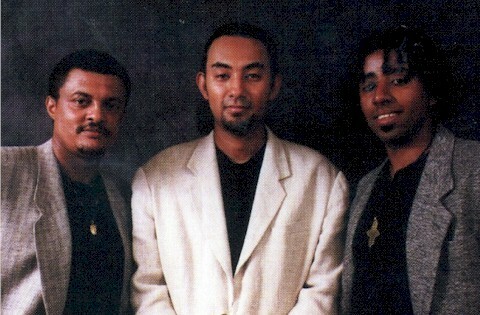 Africa: The Golden Years is notable for its synthesis of classic Congolese rumba with West African highlife. I'm sure it had been done before, but probably not to such great effect. Some years ago an acquaintance passed on a cassette of a Nigerian musician who was previously unknown to me; the tape was simply labeled "Ali Chuks." "He's an Igbo, and he's a Muslim," my friend explained. Which caught my attention, because if there's one thing that would seem to be hard-wired into the DNA of every Igbo man, woman and child, it is an abiding allegiance to the Christian faith. The reasons for this are rooted in history. Suffice it to say that in the late 19th and early 20th centuries the Igbo embraced Christianity with a vengeance after stubbornly adhering to their traditional religion from time immemorial, and this identification was only strengthened during the privations of the Biafran war. An Igbo Muslim? Who had heard of such a thing? 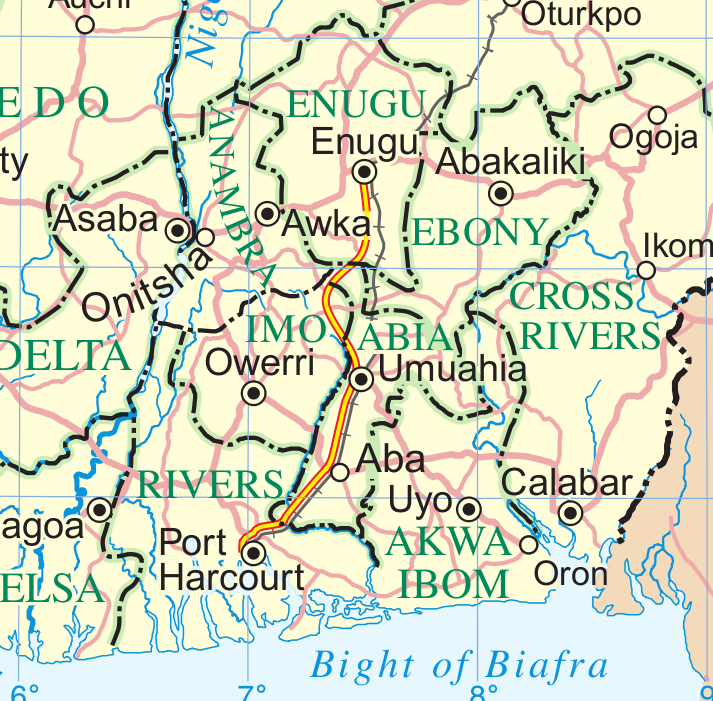 As a matter of fact, there are small communities of Igbo Muslims, not only in the Islamic north of Nigeria but in Igboland itself. My friend Maurice O. Ene of Kwenu magazine describes the efforts of one Suleiman Onyeama, scion of a prominent Igbo family, who established an Islamic school in his home town of Eke. 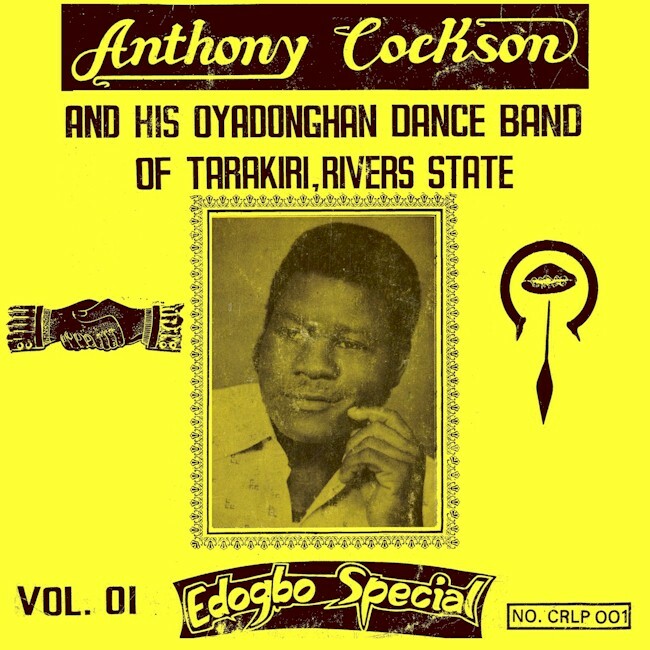 I have heard varying accounts of Chukwuma's origins and activities before he became a well-known musician, but he was apparently from Aboh in the "Anioma," or Igbo-speaking area of present-day Delta State. He is said to have moved to Atani near Onitsha following the death of his father and made the acquaintance there of native son Chief Stephen Osita Osadebe. 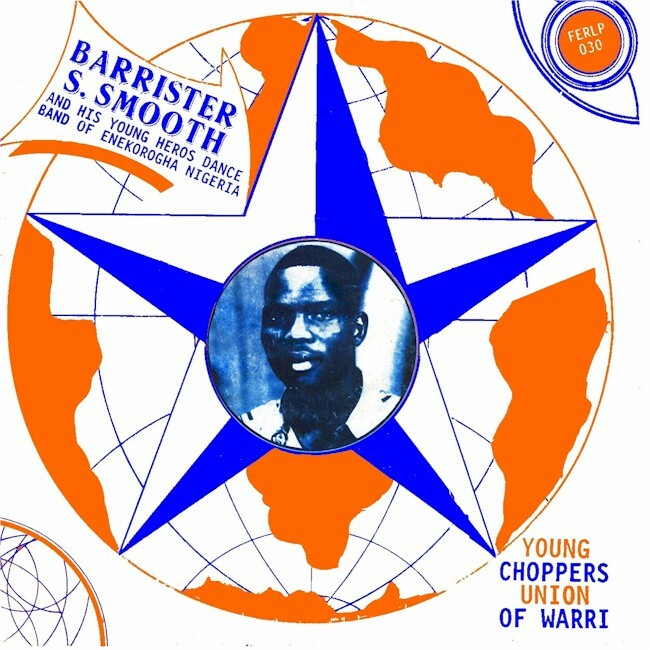 He spent some time in the great master's Nigeria Sound Makers band and later left to form his own Nigeria Peace Makers. 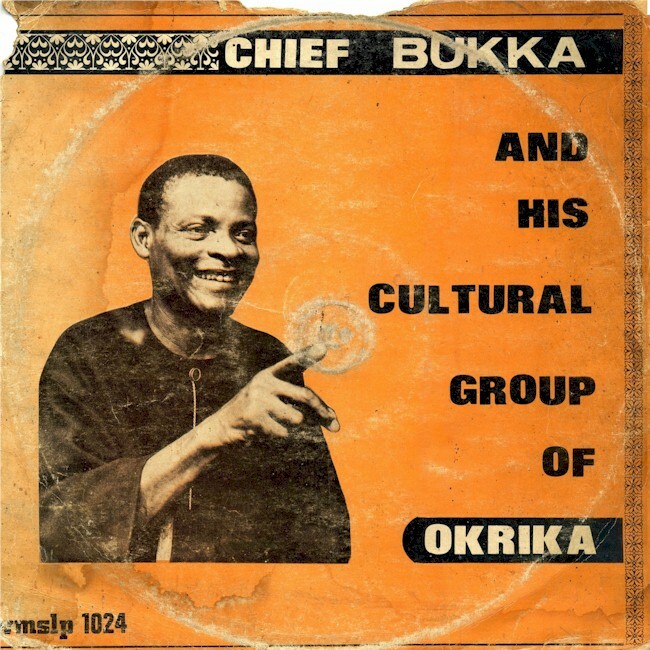 Chukwuma died of liver failure in the mid-'80s, leaving a legacy of much-loved highlife music. 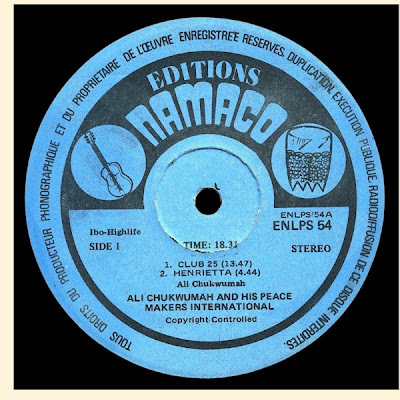 I had wanted to showcase selections here from various points in Chukwuma's career, but listening to the different recordings, one album stands out: Club 25 (Editions Namaco ENLPS 54), recorded sometime in the late 1970s. 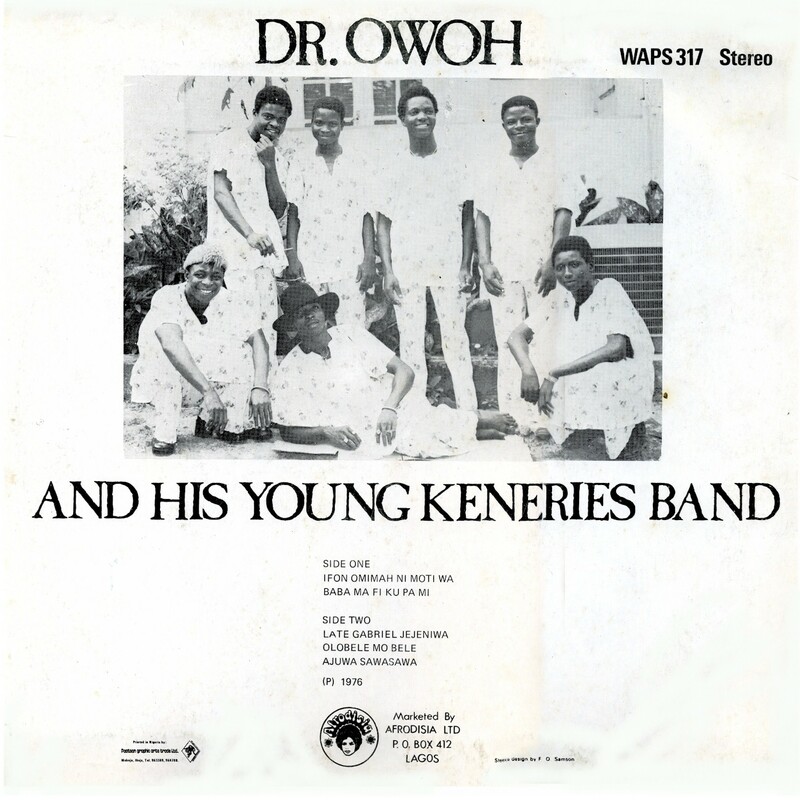 Therefore, I'm offering it to you in its entirety, and in future posts I'll present other recordings by this master of Igbo roots music. "Henrietta" apparently is addressed to a demanding young woman who thinks she can do better than the narrator. "Henrietta, onye d'imma n'azu:" "Who is beautiful behind their back? Who has everything they want or need in this world?" Thanks to my wife Priscilla for her help translating these songs. Any errors in transcription are my own. 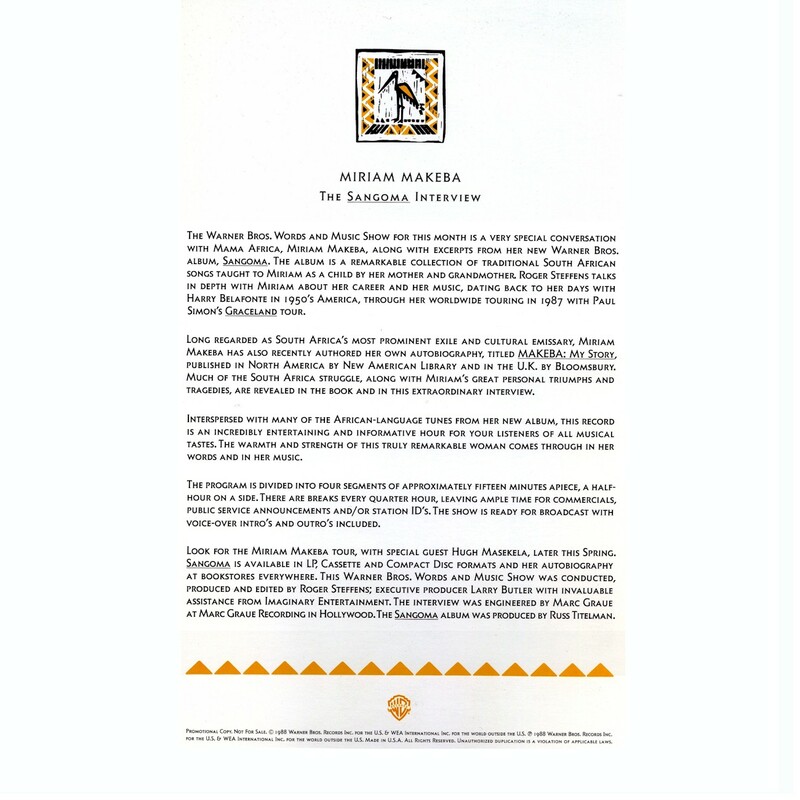 We were all saddened to hear of the death yesterday, November 10 of the esteemed South African singer Miriam Makeba. She was 76 and suffered a heart attack during a concert in Italy. Makeba, known as "Mama Africa," was an artist who suffered greatly for her outspokenness on behalf of the oppressed, but she shouldered that burden gladly. Already a major star in South Africa, she was stripped of her passport in 1960 after speaking out against the apartheid system while on a world tour. In exile, she achieved global fame with her hit song "Pata Pata" in 1967, but her career suffered another setback in 1968 when she married civil rights activist Stokely Carmichael. 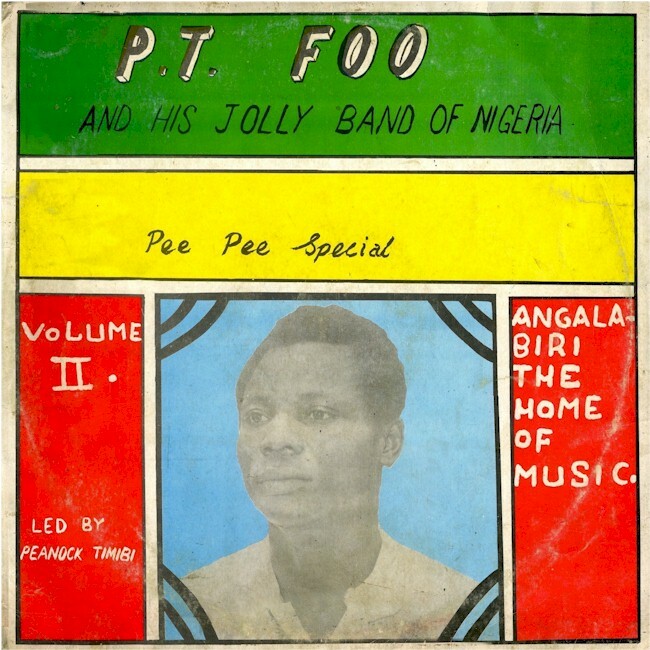 Without a recording contract and unable to find bookings in the United States, she and her husband took up residence in the republic of Guinea as guests of President Sekou Touré. It was in Guinea that she suffered the tragedy of her daughter Bongi's mental illnesss and subsequent death. In 1987 her career was reborn in the wake of Paul Simon's album Graceland. She toured the world with Simon and other South African musicians and released Sangoma, an album of the traditional Xhosa songs of her youth. Update: As you might expect, the blogs have been all over this story. Matsuli and With Comb and Razor, of course. Also Spinning in Air and Undercover Black Man. World Service offers a rare "pre-mix" version of Sangoma, while Zero G Sound features a download of her 1960 debut US LP. 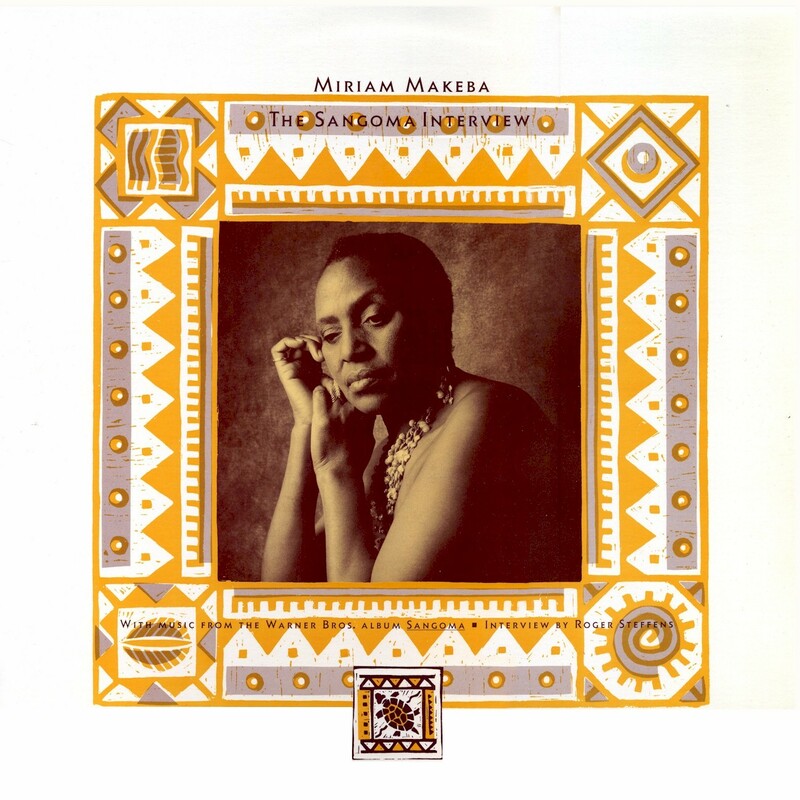 Meanwhile, Global Groove has the 1965 RCA Victor album Makeba Sings! There are many more tributes than I can list here, naturally. 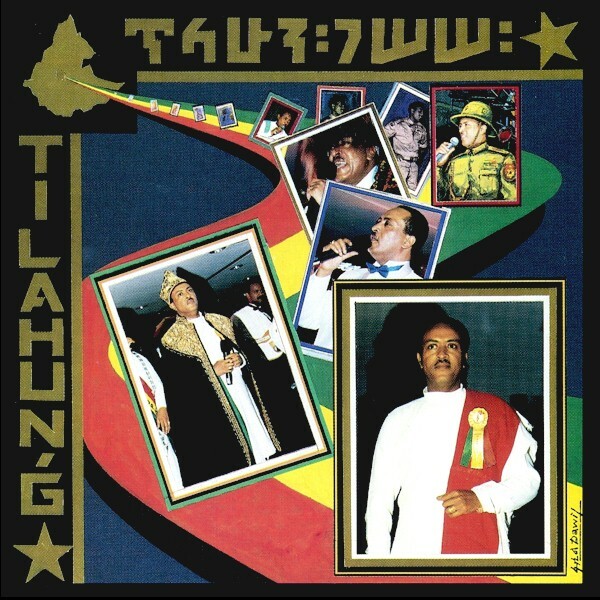 Back in the '80s Ethiopian music was extremely hard to come by outside of Ethiopia. 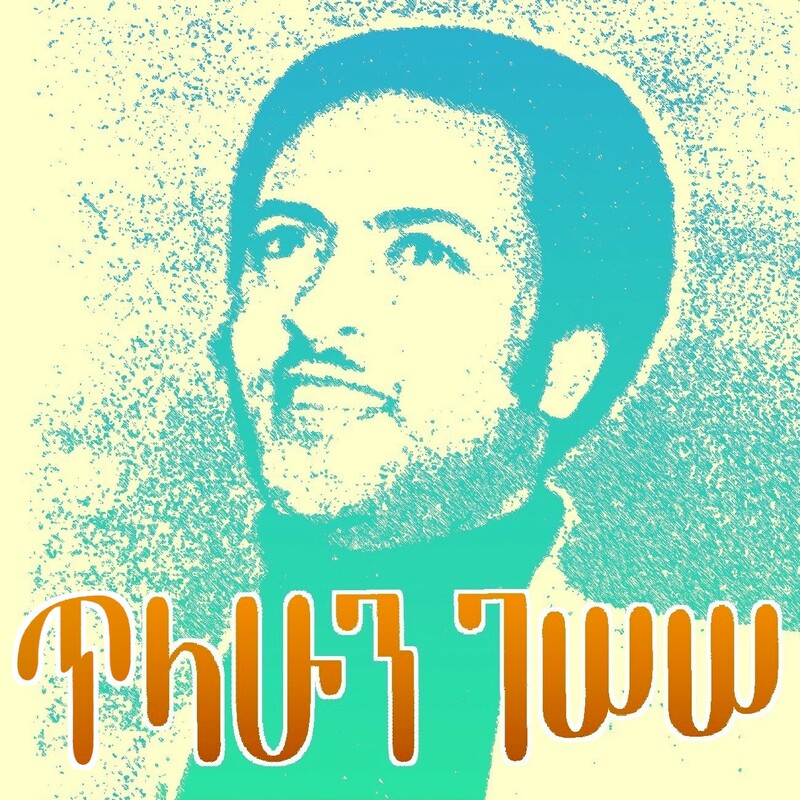 Mahmoud Ahmed's brilliant Ere Mela Mela was released on LP by the Belgian label Crammed Discs around 1985, and later in the decade the exile singer Aster Aweke released Aster, recorded in the UK with mainly non-Ethiopian backup musicians. That was just about it, unless you were lucky enough to know Ethiopians who could supply you with scratchy, poorly dubbed cassettes from the motherland. All that changed in the '90s when political change opened the country up. A fine collection of traditional and modern music, Music From Ethiopia (Caprice CAP 21432) came out in 1992, and within a few years the incredible Ethiopiques series opened the world's ears to the classic sounds of "Swingin' Addis" from the '60s and early '70s. 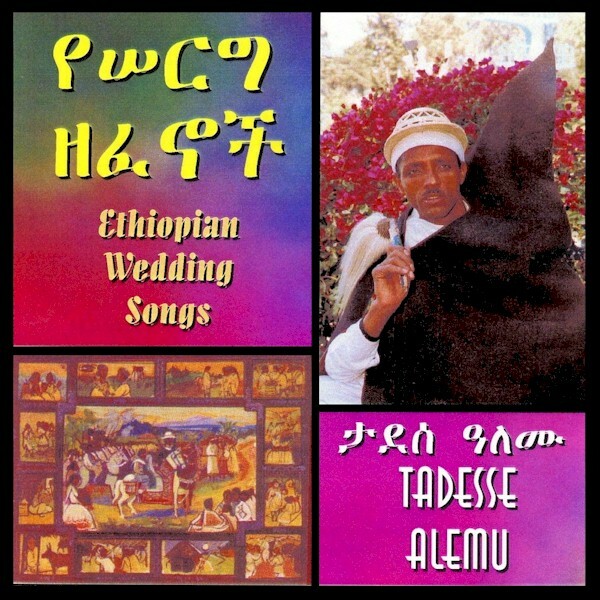 When it became possible for Ethiopian musicians to travel freely it was only natural that they would gravitate to U.S. recording studios, and in the last 15 years there has arisen a robust market in CDs made here. For the most part these are "under the radar" - not available through the usual "World Music™" outlets like Sterns. The main issue I have with these American recordings is the overwhelming use of synthesizers. 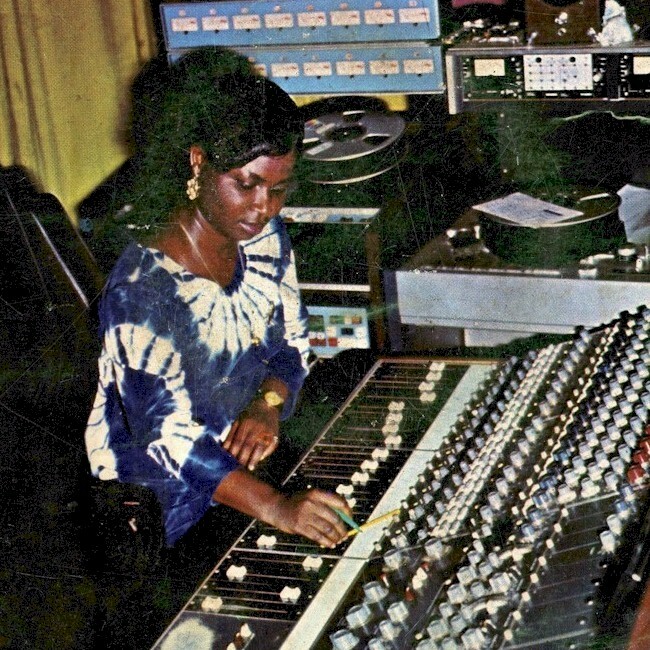 That said, many of these productions are surprisingly sophisticated, a far cry from the rinky-dink keyboards and drum machines of much contemporary African music. 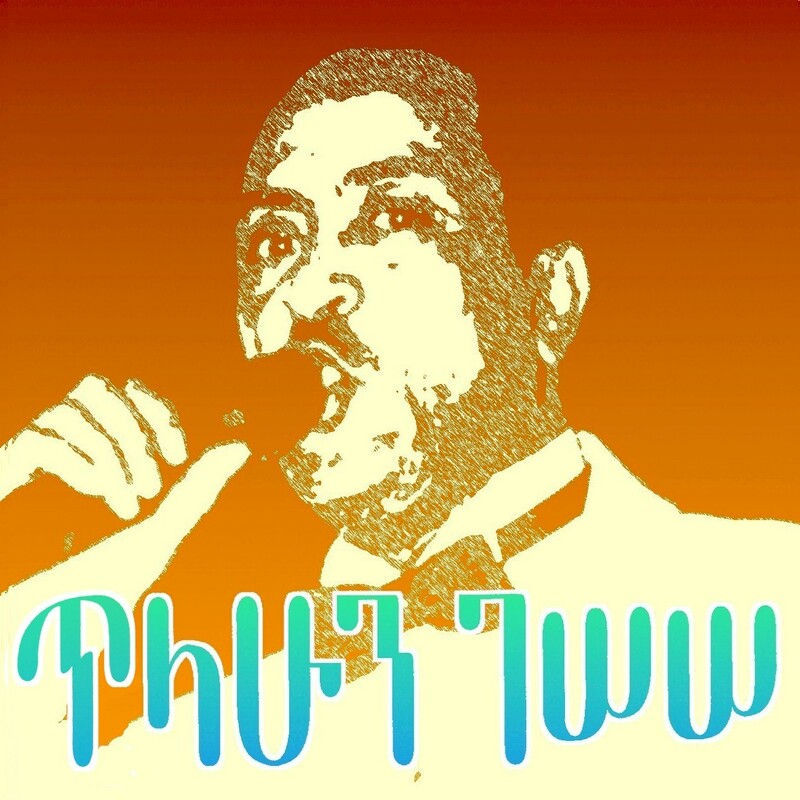 Let's listen to some of these recordings from "Digital Ethiopia." This is Part One of a two-part post. 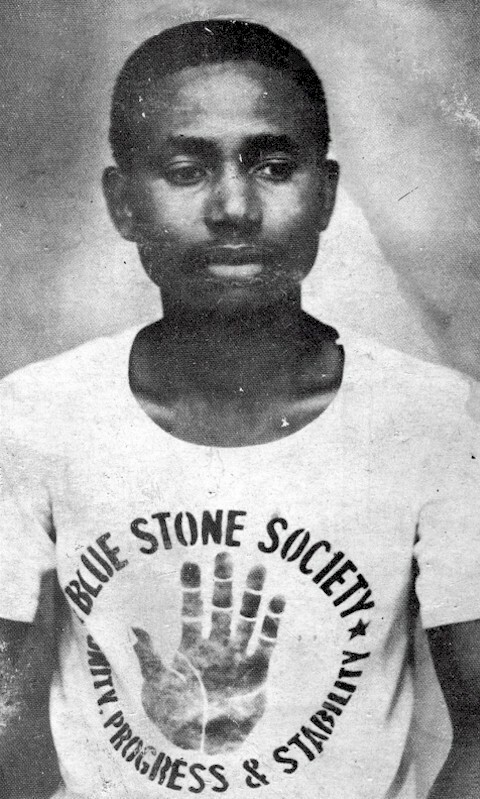 Menelik Wossenachew - Gash Jembere! In all of Africa, American-style "jazz" music (as opposed to the various "jazz" groups that play local styles) has taken root in only two countries, South Africa and Ethiopia. That jazz has caught on at all in the latter country is due mainly to the efforts of one man, the pianist and vibraphonist Mulatu Astatqé. 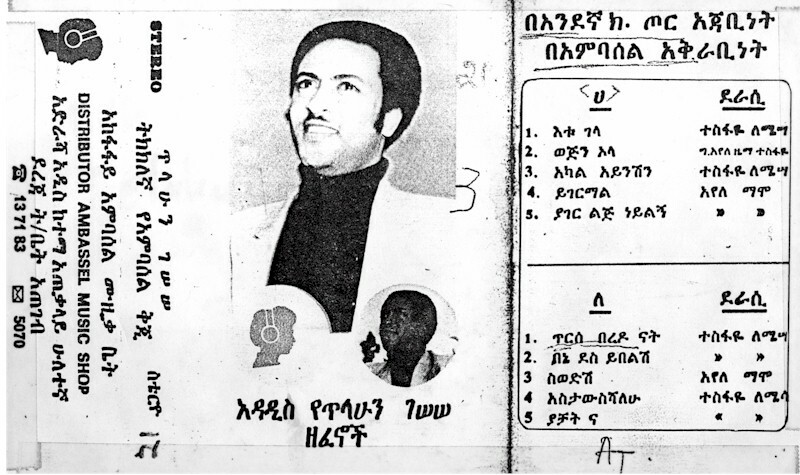 His "Ethio-Jazz" style, combining the results of ten years studying and playing music in London and New York with Ethiopian tradition, is brilliantly showcased in the CD Ethiopiques 4: Ethio Jazz & Musique Instrumentale 1969-1974 (Buda Musique 82964-2). Serendipitously, this record was the basis for the soundtrack of the 2005 movie Broken Flowers, directed by Jim Jarmusch and starring Bill Murray. If you're interested in getting some of these recordings online, I can't promise anything, but you might try AIT Records or Nahom Records. Otherwise, investigate your nearest Ethiopian restaurant or grocery store. In "Digital Ethiopia Pt. 2" I'll be posting songs by some great female singers as well as some other goodies. 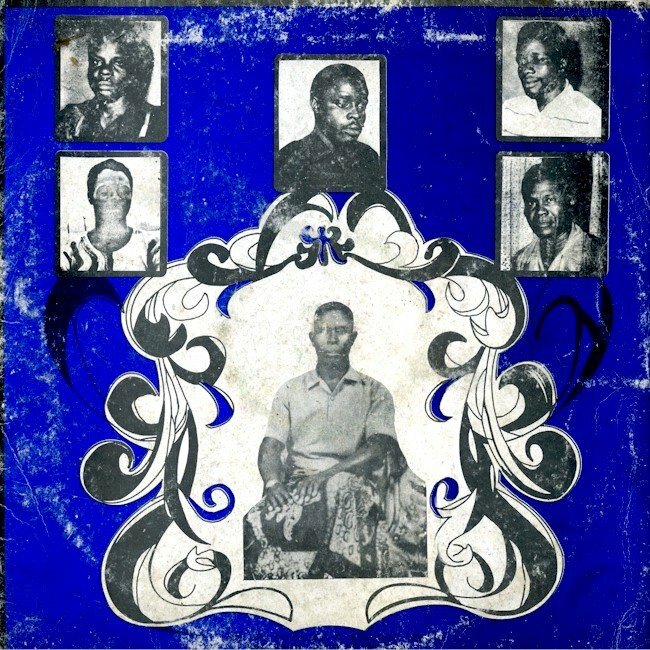 No sooner had I mentioned that I was lacking two of Nelly Uchendu's legendary recordings, Love Nwantinti (Homzy HCE 005, 1976) and Mamausa (Afrodisia DWAPS 2066, 1978), than Uchenna of With Comb and Razor mailed me copies of both that he had located in Nigeria. If that weren't enough, he also enclosed a copy of Hosanna (Homzy HCE 039, 1979), a previously-unknown-to-me gospel album by the State City Singers, a trio featuring Nelly and her sister Bridget. Thanks, Uchenna! I owe you one (or two, or three). Not only do all of these LPs differ in "feel," they contrast interestingly to the recordings featured in my previous post. The one constant is Nelly's glorious voice, an instrument that earned her the appellation "Nigeria's Golden Voice." 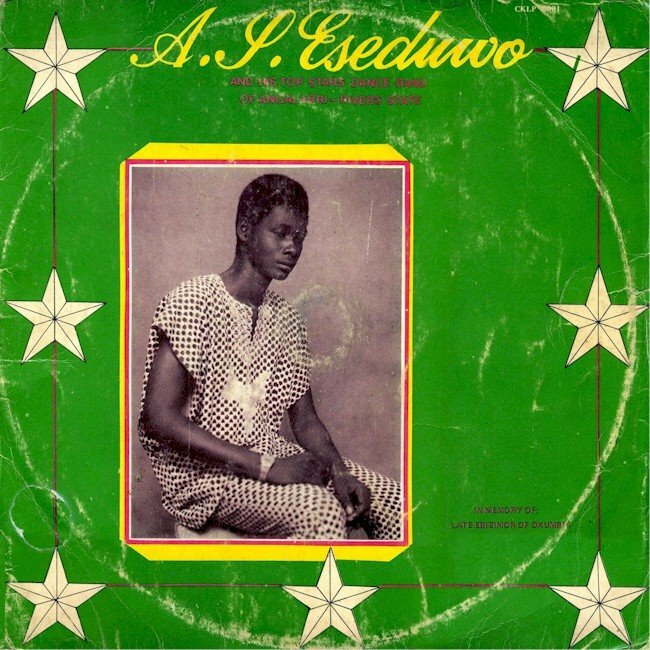 I'm more than happy to devote another post to this great Igbo chanteuse, who was woefully neglected outside of Nigeria during her lifetime, and is in danger of being forgotten completely now that she has departed this world. Love Nwantinti, Uchendu's first LP, is the recording that put her on the map after some years of celebrity in her native Enugu. 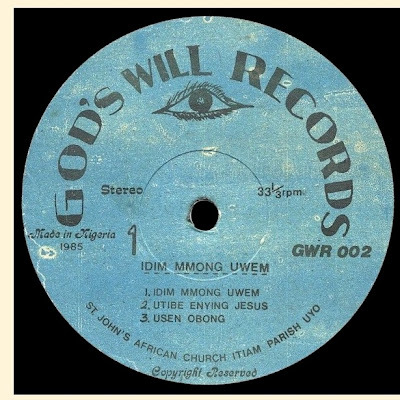 It is actually credited to Nelly Uchendu and pianist/organist Mike Obianwu, and what a combination it is! 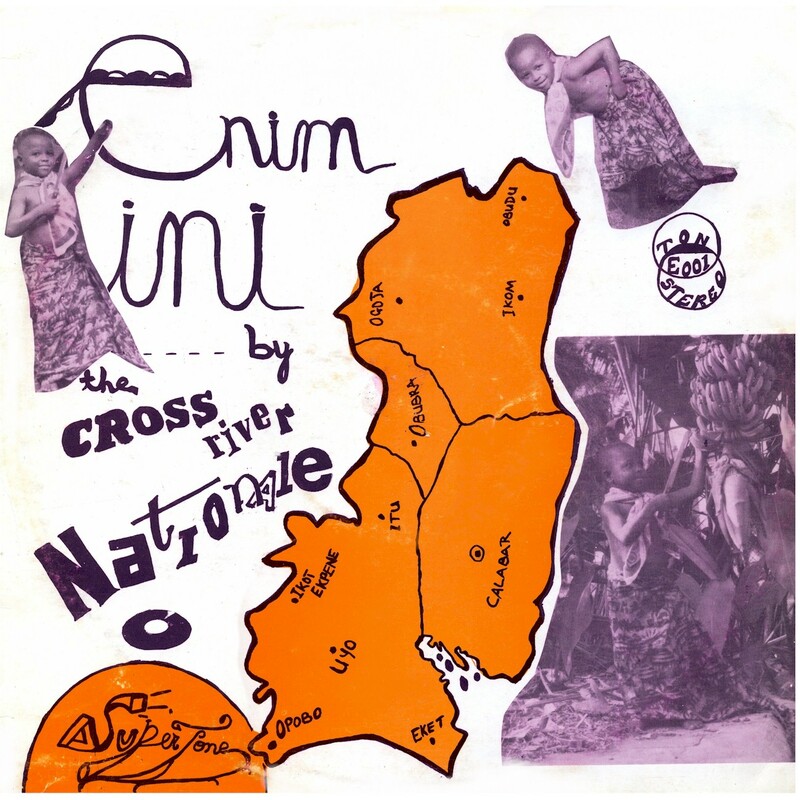 Love Nwantinti is one of the few African records I've heard that feature piano prominently, a very interesting effect. 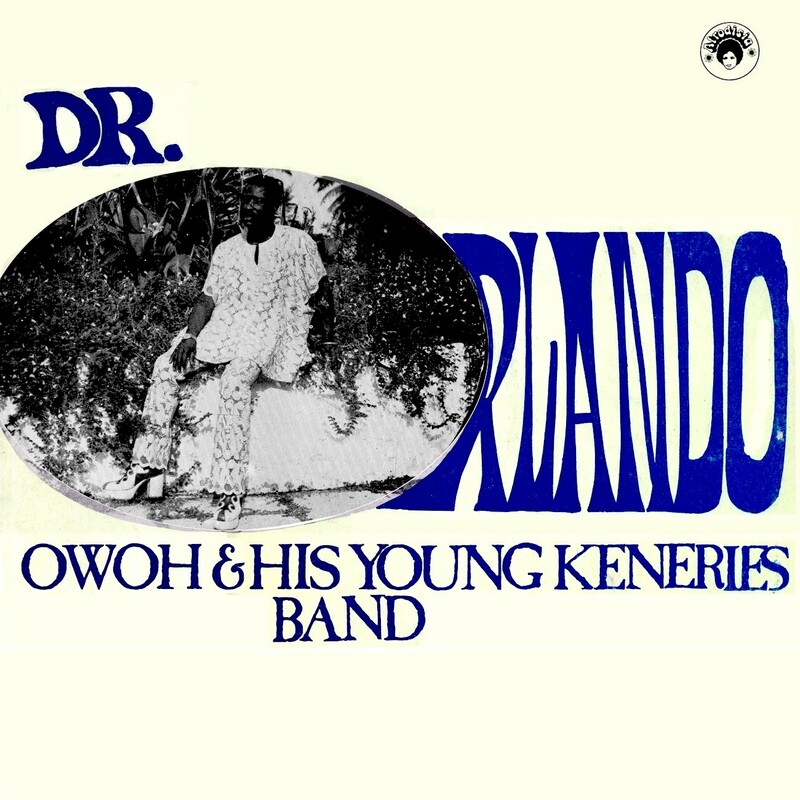 The liner notes state that Obianwu had 45 years of experience under his belt as of 1976. Indeed, I'm wondering if he is the uncredited pianist featured on Celestine Ukwu's classic LP True Philosophy (Philips 6361 009, 1971). Producer H.N. Nnamchi writes, ". 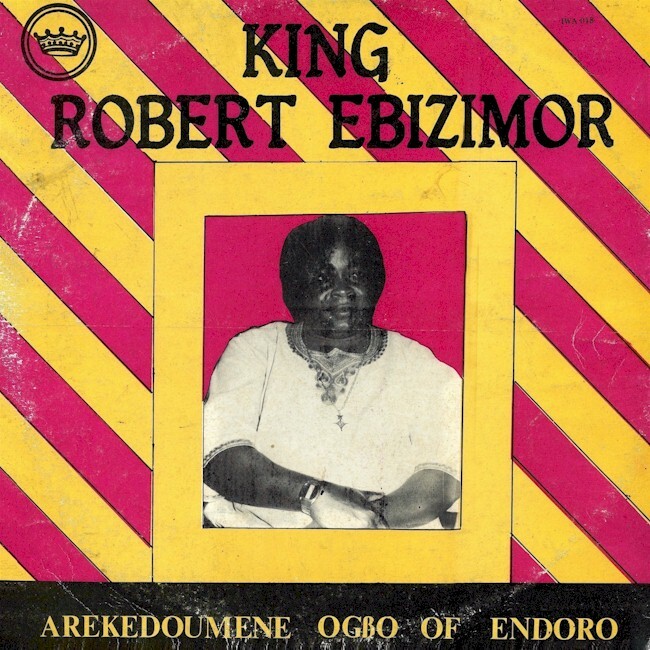 . . As some of these evergreen tunes gradually fading away hence I called Nelly and 'Uncle' Mike Obianwu to make this evergreen, exciting, top hits into an album for me and you to own in our own individual record library. . ."
Sharp-eyed readers will note that the track titles and recording information given on the label differ somewhat from the cover and titles given here (click the image to enlarge). 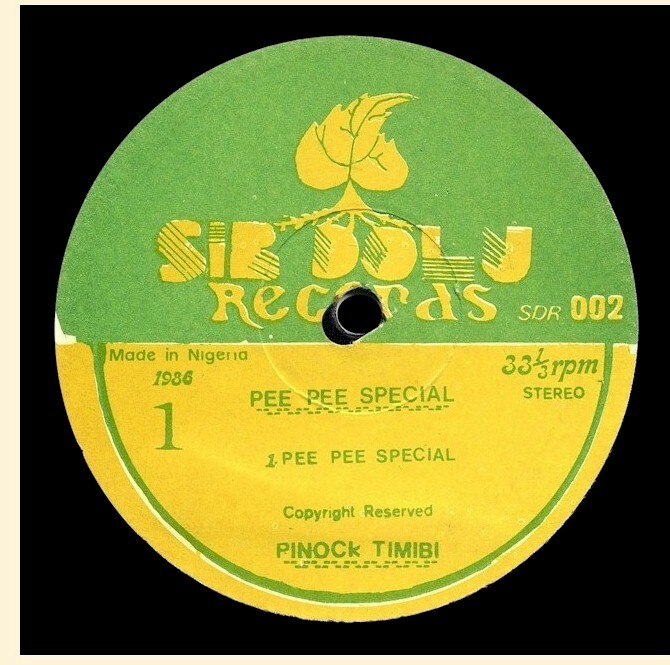 I don't know why this is, but I have a hypothesis: After Nelly's smash debut at FESTAC '77, the original LP by "Uncle Obianwu and Nelly Uchendu" was reissued credited to Nelly Uchendu and Mike Obianwu with a new title and cover. As there were no doubt copies of the original pressing around, only the cover was reprinted. It's as good an explanation as any. I had heard of Mamausa, but was unprepared for what greeted my ears after actually putting it on the turntable. 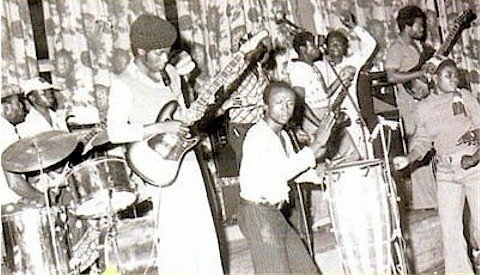 Who would have thought that in 1978, after a tidal wave of soul and R&B had swept over Nigeria, people there would still be making first-rate dance-band highlife? Interesting also is the presence in the lineup of Ken Okulolo, who has been a respected purveyor of African music in the San Francisco Bay Area for many years now. 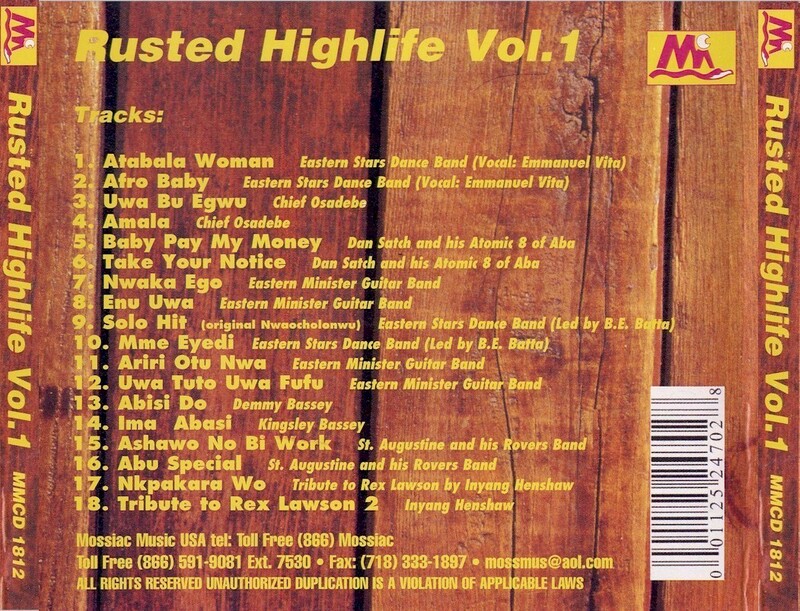 On the album, "Mamausa" is actually parts 1 and 4 of a four-song medley. the track listing is: Mamausa Pt. 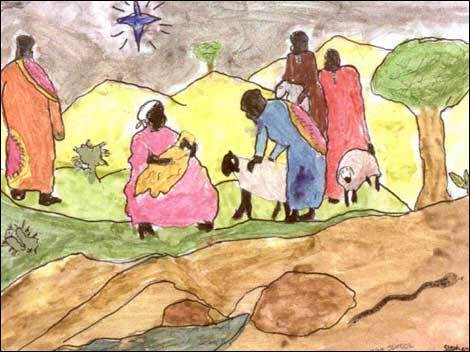 1/Jesu Chelum/Ugbo Ndi Oma/Mamausa Pt. 2. For convenience I've combined the two parts of the song, but if you'd like to hear the whole medley, click here. I wanted to include a couple of tracks from Hosanna in this post, but I just haven't had time to do the necessary audio restoration (as you can tell, these records have all been much-loved and much-played!) Perhaps another time. And many thanks, as usual, to my wife Priscilla for her interpretations of these lyrics. Update: Cheeku Bidani confirms my suspicions regarding the two issues of Love Nwantinti. At above right is the original cover (click to enlarge). It is currently offered on Ebay here.